When I started online way back in 2006, I was really struggling to make money. It seemed like such hard work. You worked so hard to drive traffic to your website and then only a dismal two to three percent bought anything. 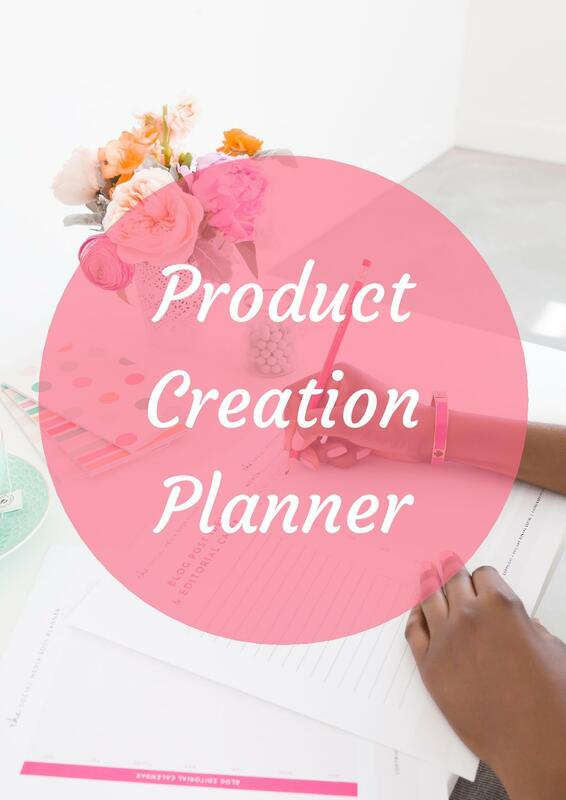 It wasn’t until I discovered the power of building your list that I actually started to make any serious money. Your list is the lifeblood of your online business. You can calculate about $1 per subscriber on your list. So if you want to earn $10,000 a month, you need a list of about 10,000 people. 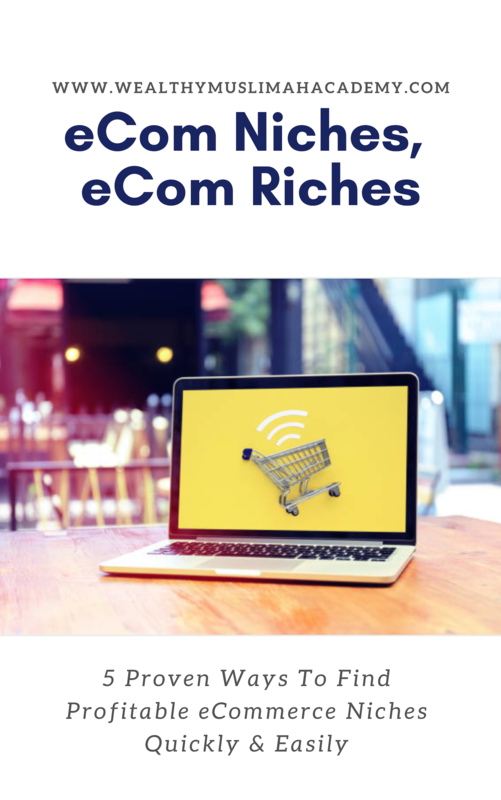 It’s essential to build your list no matter what type of online business you run…..an online store, a coaching business, selling information products or software. 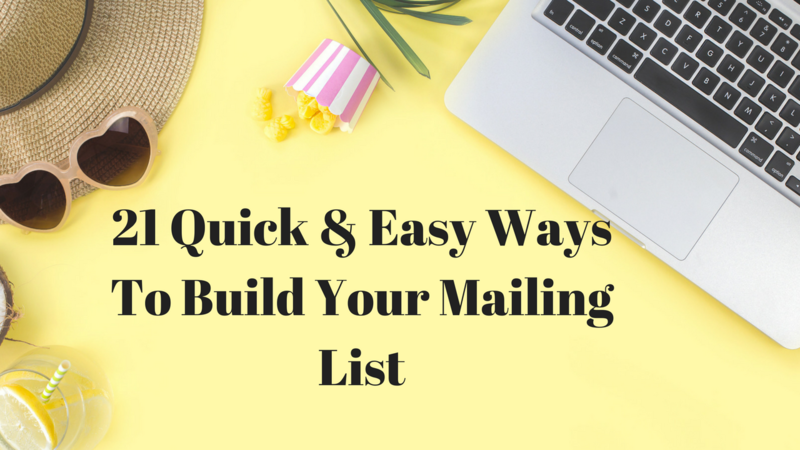 No matter what your online business model, it’s absolutely essential that you start building your email list. So let’s look at 21 ways you can increase your optin rate, drive more traffic to your site and build your all important mailing list. A welcome gate is essentially an optin form that takes up the visitor’s entire screen so they are compelled to focus on your call to action. 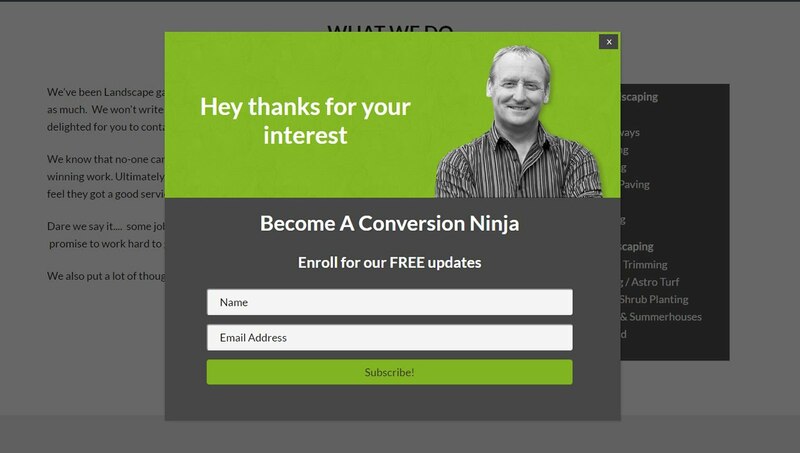 Here’s an example of a welcome mat on Neil Patel’s blog. The visitor cannot access any of your content until they have either entered their name and email address or they have closed the welcome mat. The advantage of the welcome mat is that they convert extremely well. We’re talking about conversions of around 60% or more. As with all pop-up types, make sure you test your Welcome Mat, once it’s installed, to see how effective it is in getting results. It’s not enough to create a pop-up for your landing page: Find the pop-up type that draws the most response from your ideal visitor. An entry pop-up is a pop-up that appears on the site as soon as you land there. 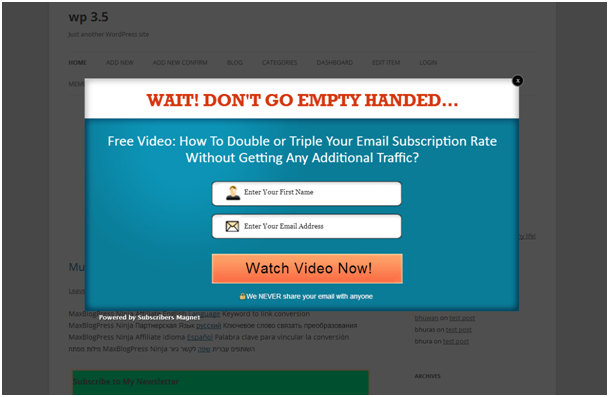 Entry pop-ups can be annoying to the visitor, but there’s no denying that they are effective. Here’s an example of an entry pop-up on the site CrateJoy. Exit pop-ups pop-up when a visitor is about to leave the site. Personally I prefer the exit pop-up because the are less intrusive to the visitor. The type of exit pop-up I like best is the exit-intent pop-up, which pops-up as soon as the visitor moves toward closing the browser window. Here are some fabulous uses for an exit pop-up. In this example, a last ditch attempt is made to capture the names and email addresses of the visitor before they leave. Here the visitor is being offered a free gift for answering 2 quick questions. Light box pop-ups are popups that darken the screen behind it, like this example here. Ribbon Pop-Ups That Appear At The Top Of The Screen. Ribbon popups are also called Hello Bars. They are a great way to draw the visitor’s attention to another secondary offer you want to make without disturbing them as they navigate and visit the page. Here buffer is asking for people to optin for blog updates. These are set to appear anywhere above the fold on your website. Floating popups follow you around on the page. These can be annoying but also very effective. 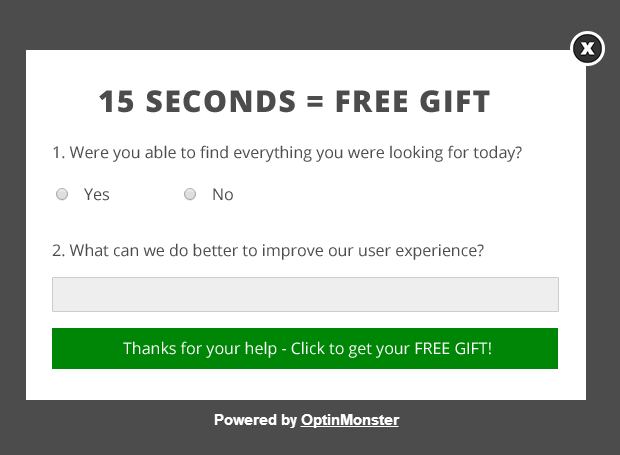 If you want to create all these different sorts of popups, then the best solution is Optin Monster. It’s an amazing and versatile WordPress plugin that integrates with all popular autoresponders such as Aweber, GetResponse and ConvertKit. Whilst popups are very effective and should be utilized on your blog, there’s no denying that the landing page is the most effective. Also known as an optin page or a squeeze page, the landing page has only one purpose - to squeeze the optin out of the visitor. You offer visitors some free lead magnet (such as a free report, free video series, free webinar, etc) in exchange for an email address. There are no other links or anything else on the page to distract the visitor. They have only one option - optin or leave. Use Optimize Press (a WordPress plugin) or ClickFunnels to create your landing pages. Whilst it’s totally necessary to have an optin form in the sidebar of your blog, don’t rely solely on this optin web. Create a separate landing page, and send people there. Your sidebar sign-up box should be regarded as an extra strategy; not as your primary sign-up vehicle. You can use your sidebar to get people to sign up for blog updates rather than for promoting your lead magnet as Derek Halpern does on his blog Social Triggers. Never, ever post an image quote, for example, without including either a call to action within the graphic—or accompanying it. At the very least, do brand it with your website URL. The same goes for infographics, cover photos (where allowed), pie charts, diagrams and even just images, if you can make this look natural and timely. Here's an example of an infographic that has the url of the website at the bottom. The great thing about infographics is that people love to share it. 6. Include a Call to Action in your Sign-up Gift. 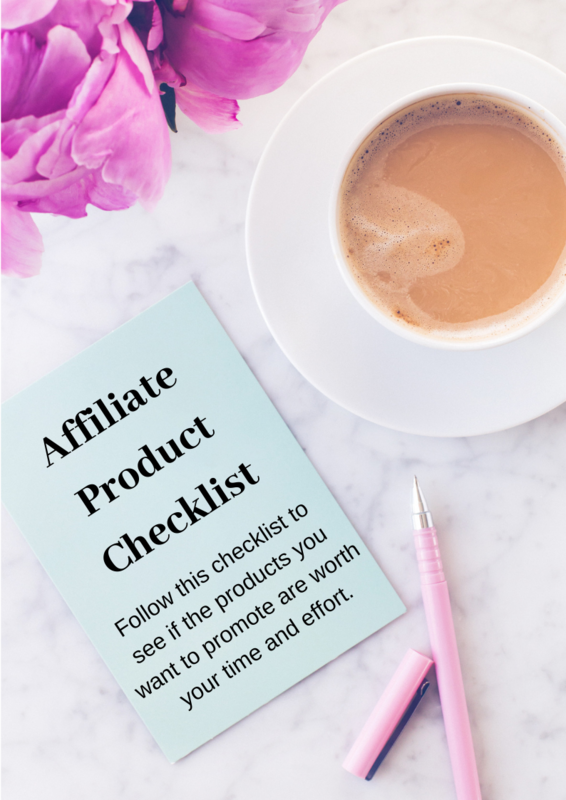 Even if you don’t have a ‘next product’ ready, recognize that your sign-up gift is prime real estate for list building. 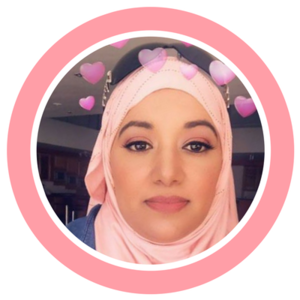 Here’s an example from my Muslim Life Coach Academy Page. Don’t just put sharing buttons on your website; put them on every post, free gift, landing page, thank you page and email! “Exciting” should be a concept never far from your mind, when engaging with your followers and subscribers. If you have affiliates, recognize the goldmine they can prove to be, and provide them with rewards, recognition—and really fun contests. 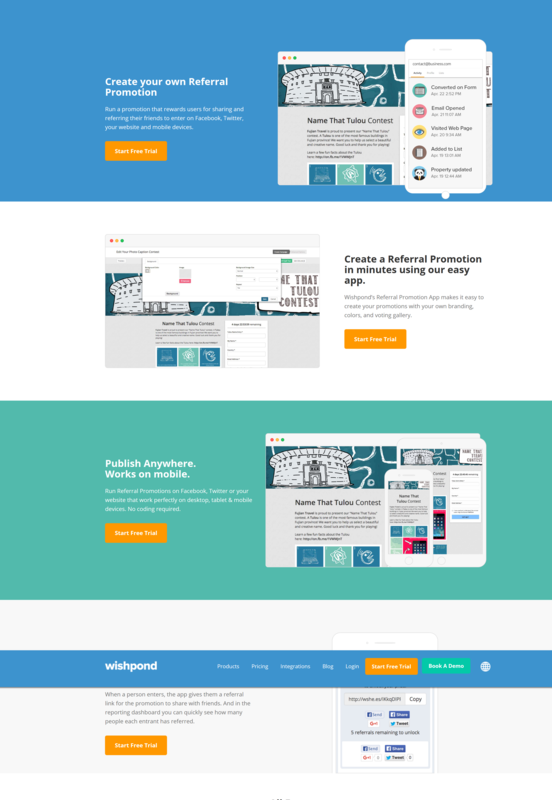 Use apps such as Wishpond to specifically create referral promotions. 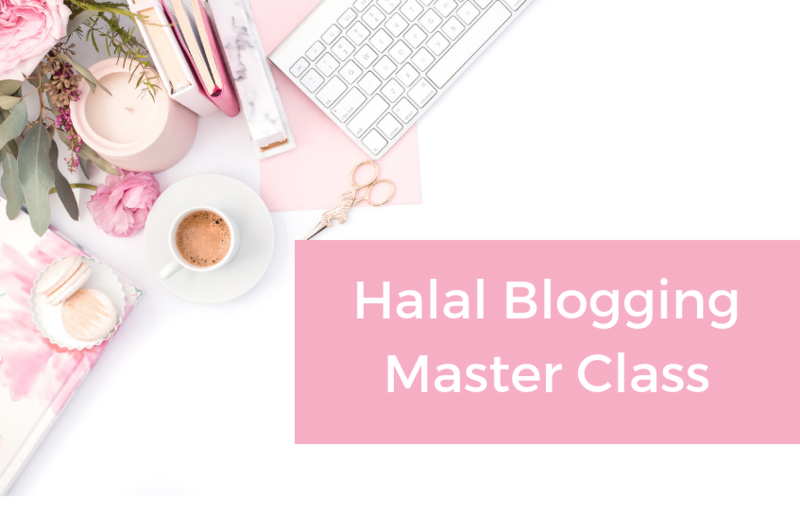 Speaking of mini-courses, after you’ve started building your list and you are tracking your feedback, use it to create a seven-part email mini-course and landing page as your next follow-up series. 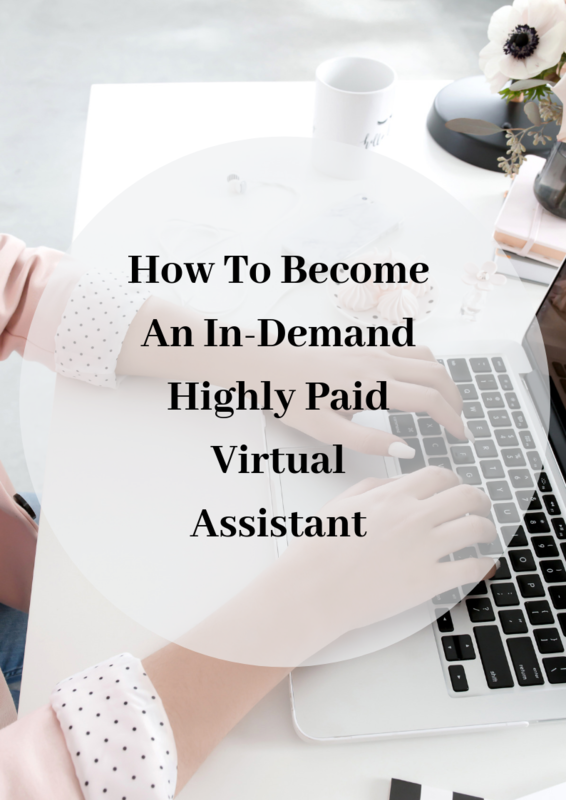 Email mini-courses are ridiculously easy to do, and take far less preparation and resources than putting together, say, a webinar; or writing a book. The key lies in making sure there is a measurable result or achievement at the end of the course. Or you can choose to use a Course platform such as Thinkific and collect emails by integrating your autoresponder. I did this by creating several free courses in Thinkific and then adding tags using Convertkit. So once people sign up for the course they are automatically tagged and added to my email list without them having to fill in another form again. You can check out the school and the courses here. Create separate sections on your website for these items, and each time you post or email a tip or image quote created by you, archive it in its respective section. 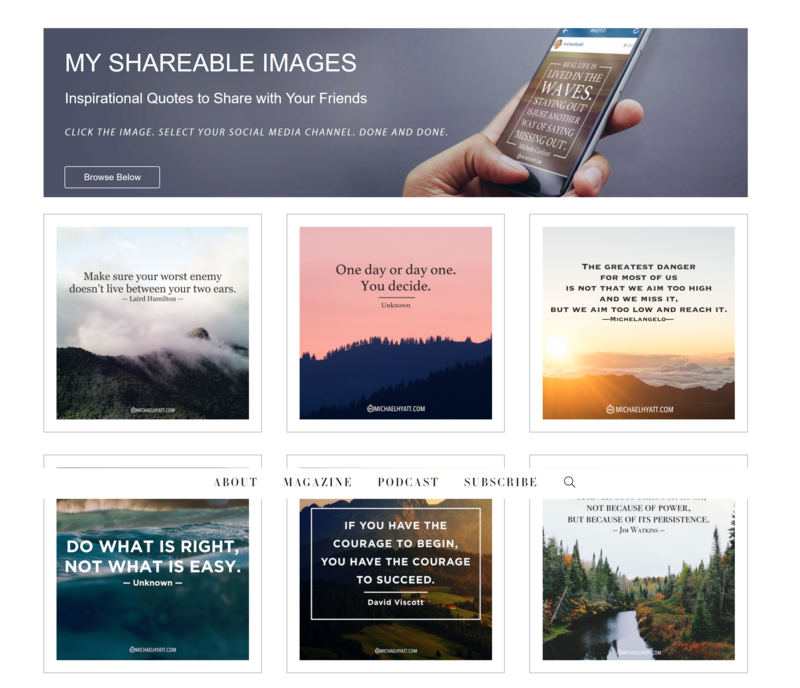 Periodically direct your followers and subscribers to these sections, once you’ve built up a decent collection of tips and image quotes. Here's an example of Michael Hyatt's quote images. Whenever a follower or a subscriber asks you a question, add both the question and your answer to your FAQ page. This is a great way to become a “turn-to” resource for your ideal subscriber … and you can use your Tips and Image Quotes archives, as well as your FAQ page, to generate post, product and gift ideas for your subscribers. Make it easy for bloggers to write about you and make it easy for potential JV partners to make a decision about you by providing a professional media page on your website; including essential details and graphics you guess they would like to access the most. Include links, share buttons and calls-to-action at the end of digital products, Thank You pages, Download Pages and everywhere you make contact! This is basic, but often forgotten as we get swept away with “branding” ourselves. It really IS all about your subscriber: With how much she identifies with you, relates to you, turns to you for solutions she trusts. Even when you are writing your About Page bio or sharing photos of triumphs, only share the bits that she will find particularly relevant—and emotionally stirring. It’s not about showcasing your achievements: It’s about showing her what she can achieve. It’s not about proving you’re an expert: It’s simply about helping her get to her goal. Don’t just spring a product on your followers and subscribers: Start talking it up before it’s even finished. You can do this on social posts, blog posts and in emails. Ask for feedback; share the creation process; feature impromptu, short polls; and tell your story—WHY you wanted to create it and what you hope it will do (for those who invest in it or download it). A great way to collect enthusiastic signups: Use the momentum you’ve gathered at the end of a webinar, guest speaking gig or a live workshop to distribute feedback forms asking simple questions like “what was your best takeaway from today?” or “which of these three topics are you most interested in?”—and include a slot for their email addresses if they “want to hear more/about the next event”. Don’t just rely on posting, blogging and sending out the odd email about upcoming events, packages or products. Use services such as BuzzStream to magnify and accelerate your buzz! Don’t just send out surveys: Promise people something delectable in exchange for answering your survey. Use apps such as SurveyMonkey or Typeform for extra eye-appeal … or even create a simple “respond to this email” type survey, for a low-tech quickie approach. This is a wonderful way to get highly targeted subscribers. A content upgrade is a a free lead magnet that is highly relevant to the blog post the visitor is currently reading. Just like this content upgrade I’m offering here. You can use something like Content Upgrades Pro or Optin Monster to instantly deliver these lead magnets. No need to create a separate email list of form for your upgrade. 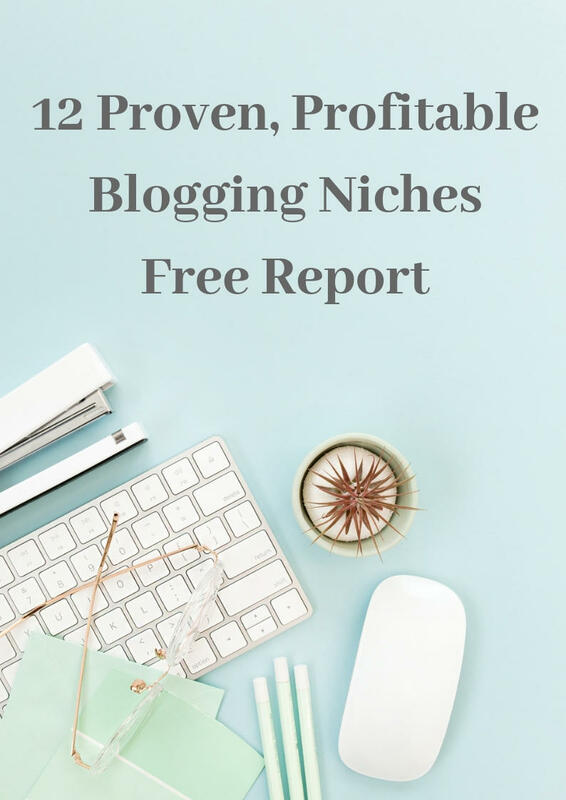 Twenty-one tips may seem like a lot, but these are just a smattering of suggestions for adding more subscribers, when you consider how many opportunities, tools and other strategies are out there. Start with these—but do get into the habit of looking for opportunities to help your subscribers every single day. After all, that’s what it is really all about! Do you have any other list building tips? Then please share them in the comments below. 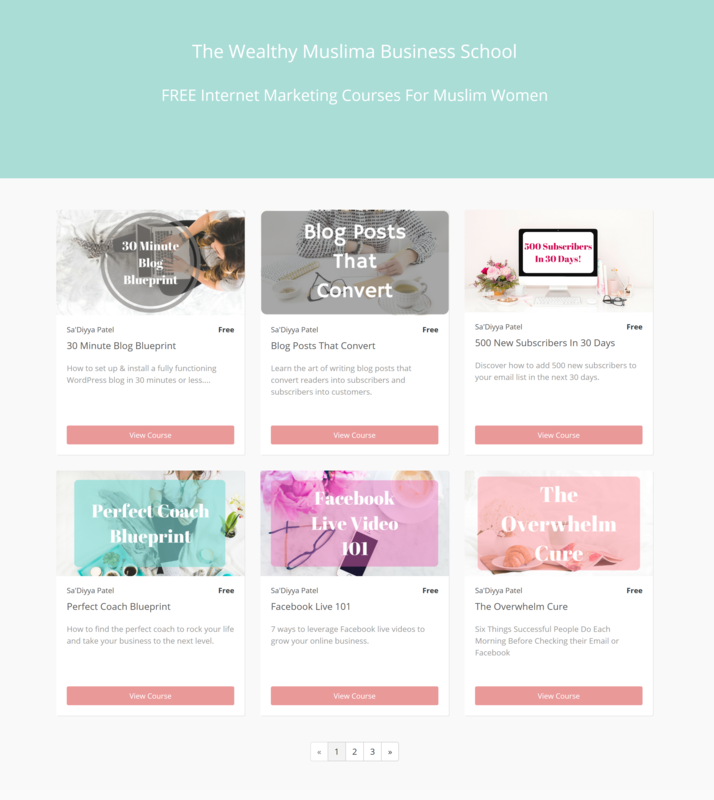 Join The Wealthy Muslimah Business Academy! What are you waiting for? 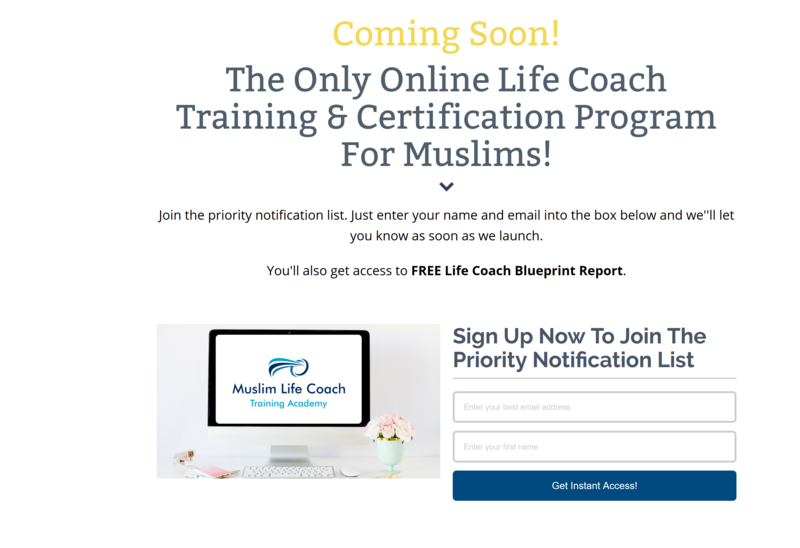 Discover how easy it is to earn a halal income online.